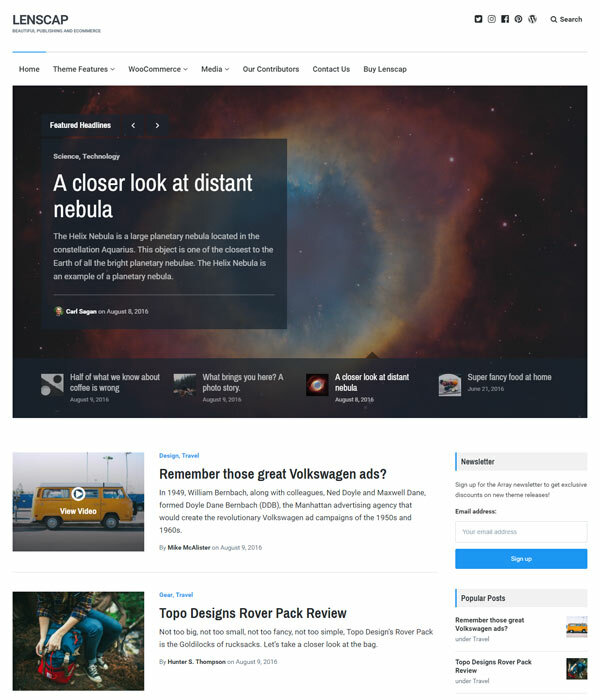 Lenscap is a lovely theme, perfectly suited for news websites and online magazine. Due to a slightly formal look and feel it’s probably less suited to personal sites without a bit of customisation. 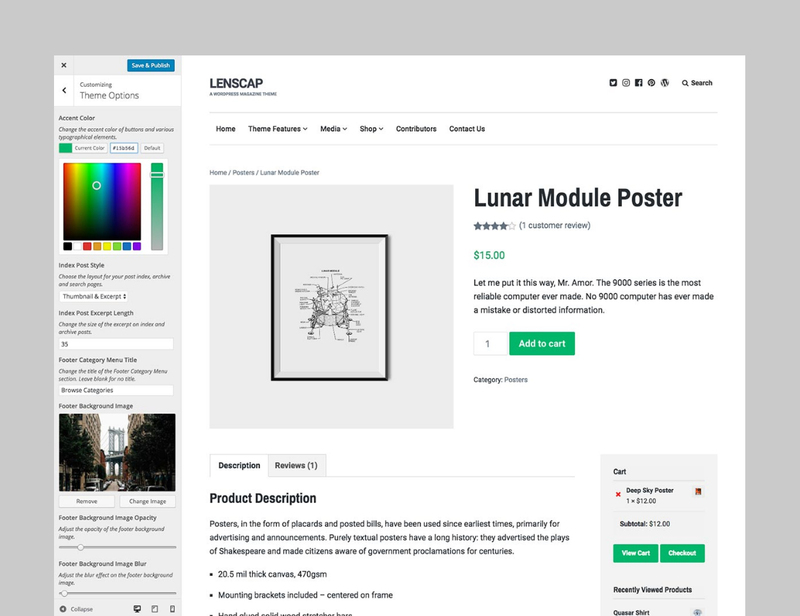 Lenscap also has shop functionality built in using WooCommerce and the shop pages a crisp and clear like all of Array’s work but I feel like the theme works better as a magazine theme. 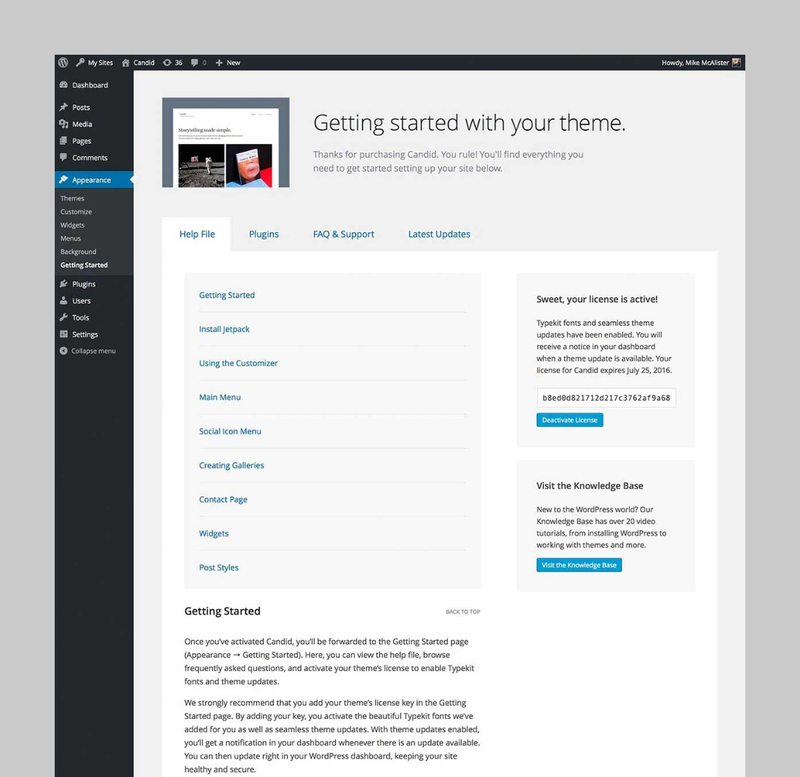 One of my favourite things about Array Themes is how simple they keep the admin area. All your options are handled by the customizer by going to Appearence → Customize and there you will find all the options you need but nothing you don’t. You’ll be able to do all the usual things like change the logo and colours and alter some of the layout options. There is nothing confusing about this theme and it makes it very easy to get your site up and running which is probably exactly what you’ll want if you’ve decided to buy a WordPress theme! Array also include a handy quick start quide in the admin area of their themes so you can see documentation whenever you need it. This is a nice touch and I like the fact the pages are kept nice and clean. Array do not use that page to try to upsell more services or themes like many developers would.